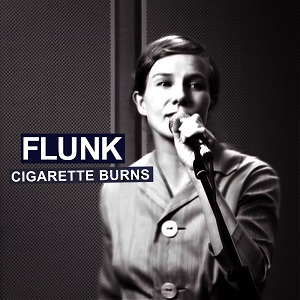 The track Cigarette Burns is originally from the Flunk album 'This Is What You Get' from 2009, and was also featured on the compilation 'The Songs We Sing' (spring 2012). The video for the track, directed by Erik Hannemann, has slowly been gaining more and more popularity on YouTube, and by the end of november 2012, it reached a total of one million views on YouTube!!! For a small kitchen table label, and for a small indie band, this is simply unbelievable!!! To celebrate this, we release Cigarette Burns as a single. Well deserved!